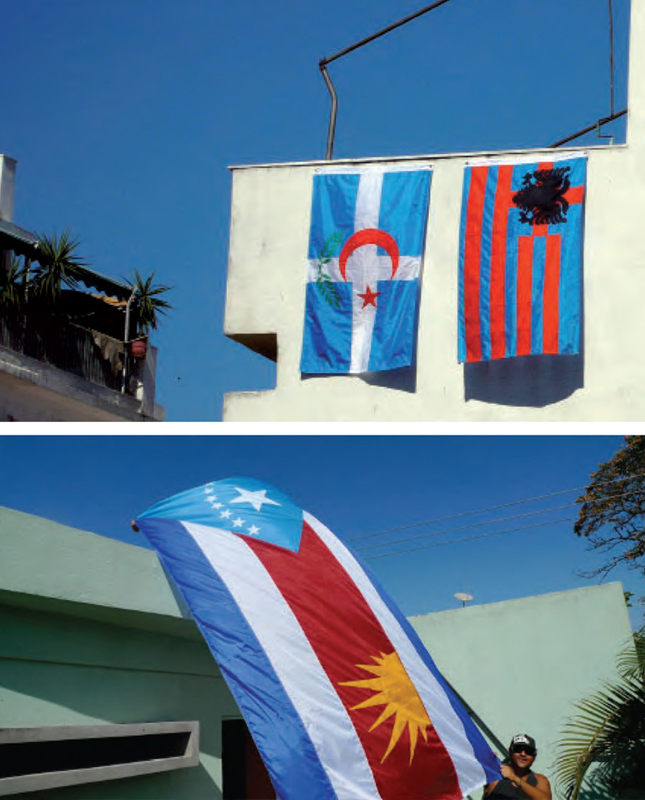 Each flag combines two flags of different countries. 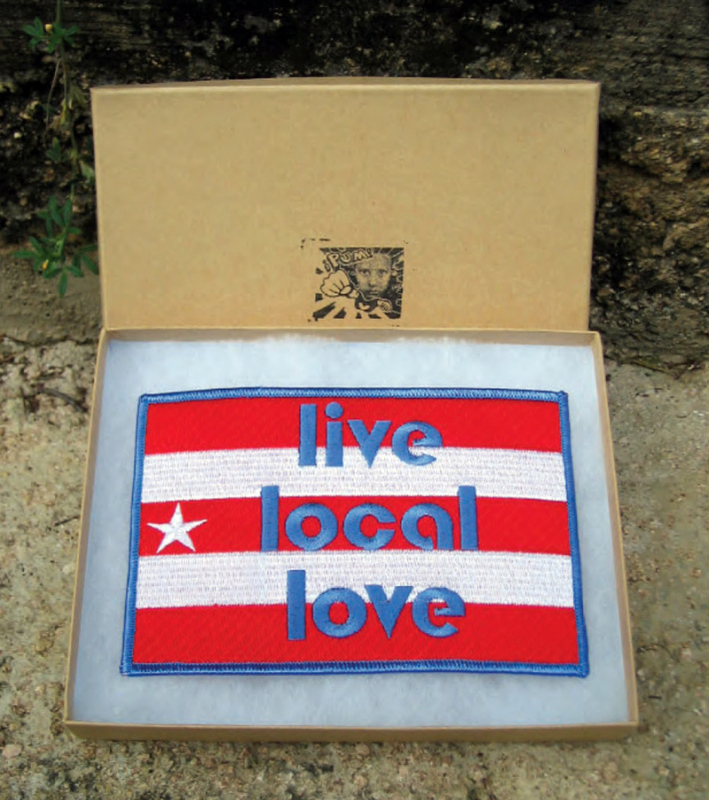 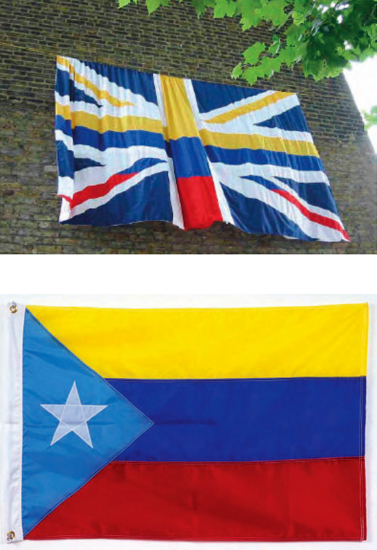 Some mix flags of the places I originate and live (UK/Colombia, Puerto Rico/Colombia). 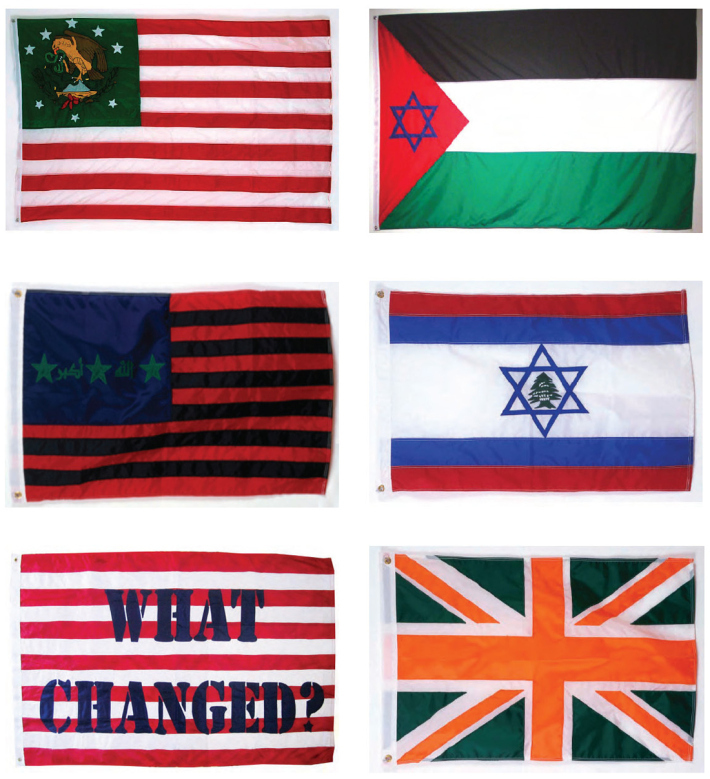 Others mix flags of cultures in tension (US/Iraq; Israel/Palestine, US/Mexico, UK/Ireland, Israel/Lebanon, Greece/Turkey/Cyprus, Greece/Albania [these 2 latter ones censored by the Greek Army in August 2007]).